The Stradivarius of a super hero. 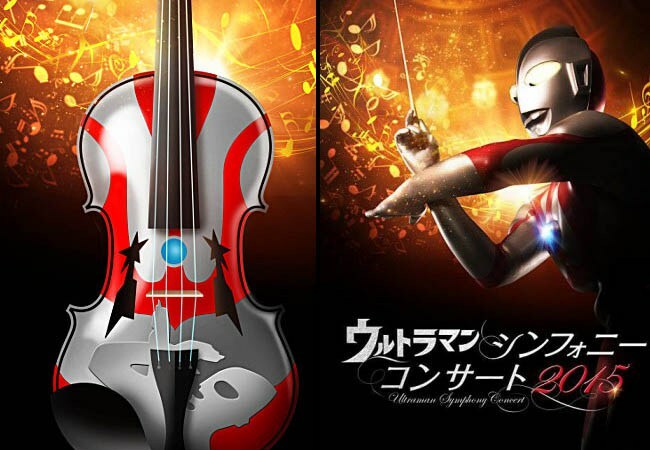 Coming to the Tokyo Metropolitan Art Theater Concert Hall on 2 November is the Ultraman Symphony Concert 2015. At this event music from the high-culture tokusatsu masterpieces of Ultraman and related shows will be performed by a full orchestra. It’s sure to be a luminous evening of sci-fi splendor, but to mark the occasion a single Ultra Violin, the only official Ultraman violin in existence, will be sold to one lucky buyer. The Ultra Violin is made from spruce and maple with ebony used in the additional parts such as the tailpiece and tuning pegs. Of course the body is painted up to look like the torso of Ultraman, but you might also notice that the violin’s f-holes are shaped like the Science Special Search Party insignia. Also if you look carefully around the tailpiece you’ll see a silhouette of Ultraman poised to fire off a specium ray. The ray itself is represented by the strings of the violin. Nice! Naturally an extremely limited instrument such as this would go for a high price, and the Ultraman Symphony Concert has set it at 780,000 yen (US$6,350) in a tribute to Messier 78, the nebula which contains the Ultras’ home planet. Tickets for the November 2 show are on sale now and run between 5,000 and 15,000 yen ($40-$122). 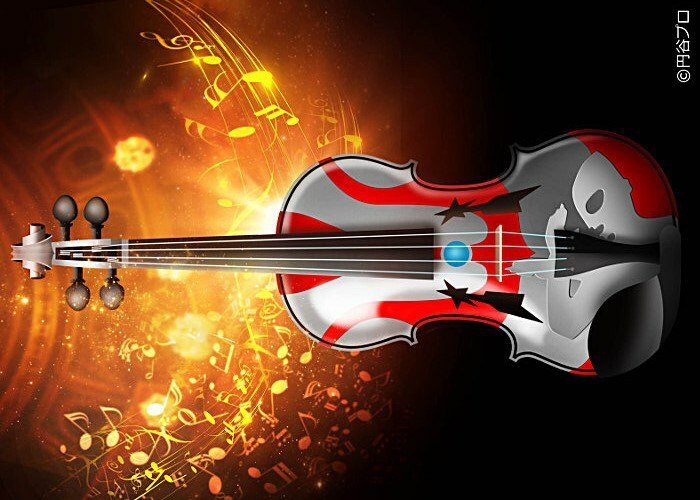 The lucky owner of the Ultra Violin will be selected by lottery from potential buyers and given the instrument during the event. It certainly will be an enviable piece of Ultra merchandise, but I imagine as an instrument you’ll only be able to play it well for around three minutes at a time. We from japanwebshopping will certainly attend this event and take part in this lottery….and if (this is a huge IF) we win the lottery the violin will go to the first person on our list! So mail us and join the list cost free of course, and in case you get cold feet, don’t worry people will line up to take it out of our hands!